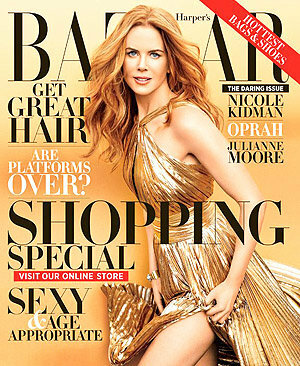 Nicole Kidman - Harper's Bazaar Nov. 2012. . Wallpaper and background images in the Nicole Kidman club tagged: nicole kidman 2012 actress harper's bazaar photoshoot terry richardson november issue us. This Nicole Kidman photo contains anime, comic book, manga, and cartoon. There might also be hapunan dress, hapunan gown, pormal, gabi toga, portrait, headshot, and closeup.